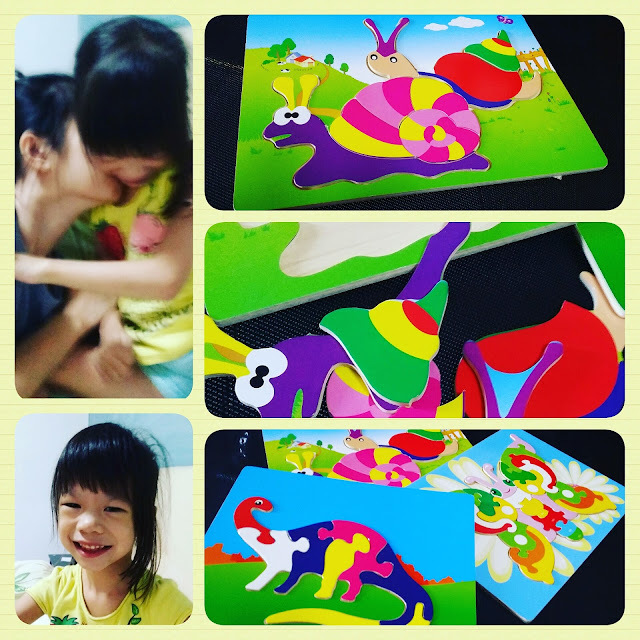 A breakthrough with snail puzzle. She loves puzzles! And mummy spoil her with more. Another leap of fine motor skills. Happy with Www.mumlittletots.com. The kids made this Web possible and bring hope to many. Thanks all for supporting.